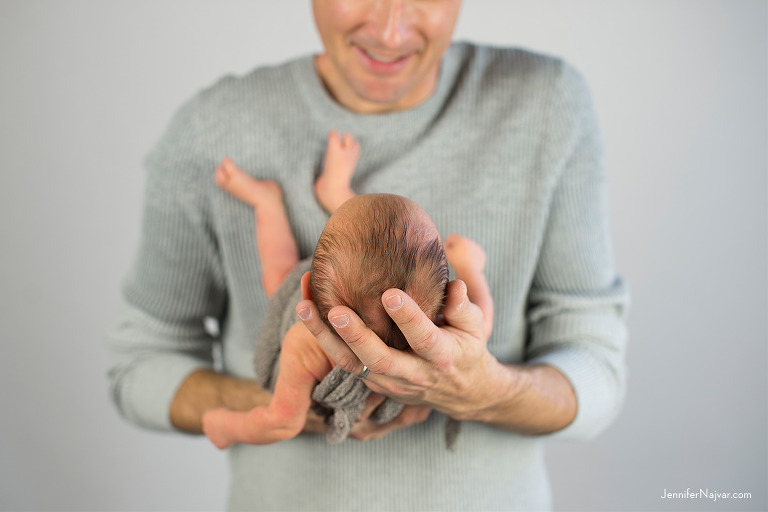 This sunny studio newborn session is a great example of the variety of images that a complete session in our central Austin studio will include. 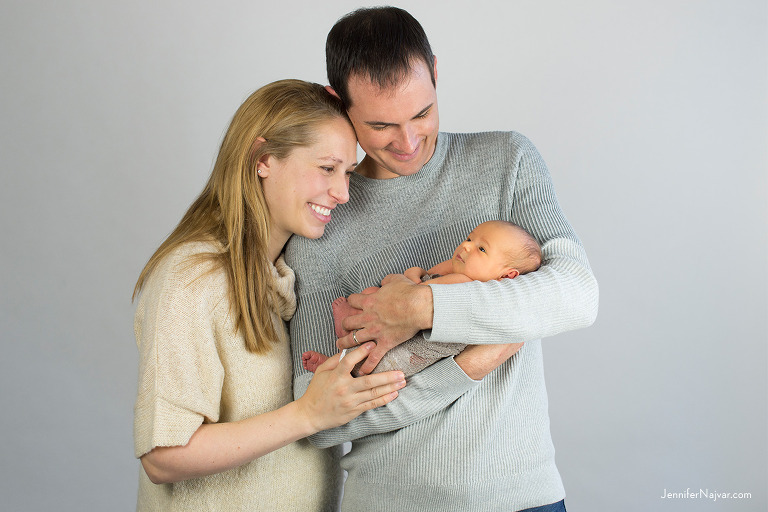 From the family to individual parent portraits to the baby, our sessions are set up to make sure every collection is complete, and for us, that means it’s not just about the baby. In our next post, we’ll break down how we structure a studio newborn session to get the most important images of the day for every family. 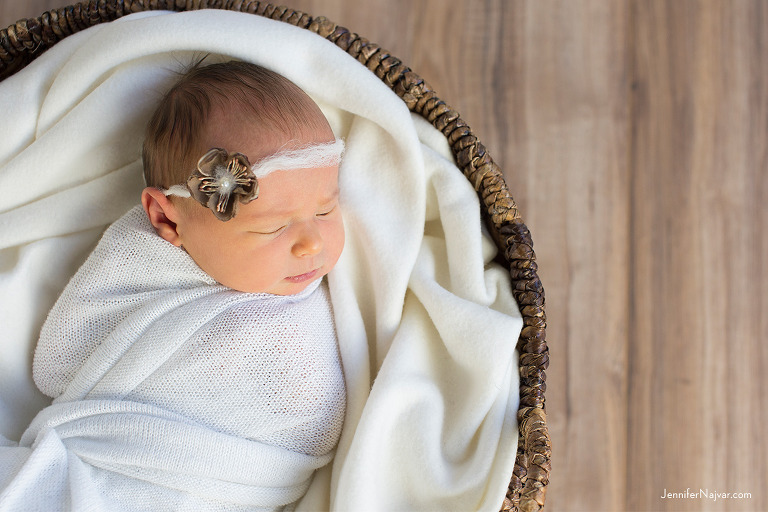 At the moment, we’re still melting over this baby girl’s session last Winter — just take a look at the precious angel’s wings and cozy soft pink sweater-knit cocoon they brought along with them to incorporate into this shoot. The warm natural light pouring in coupled with Mom’s wheat-colored sweater and golden hair set the stage for absolutely gorgeous portraits. Dad also nailed it with his wardrobe choices wearing a knit sweater and neutral grey tones. We’re big fans of simplicity with respect to wardrobe choices and Dad checked all the boxes on our ‘what to wear’ list for the men. 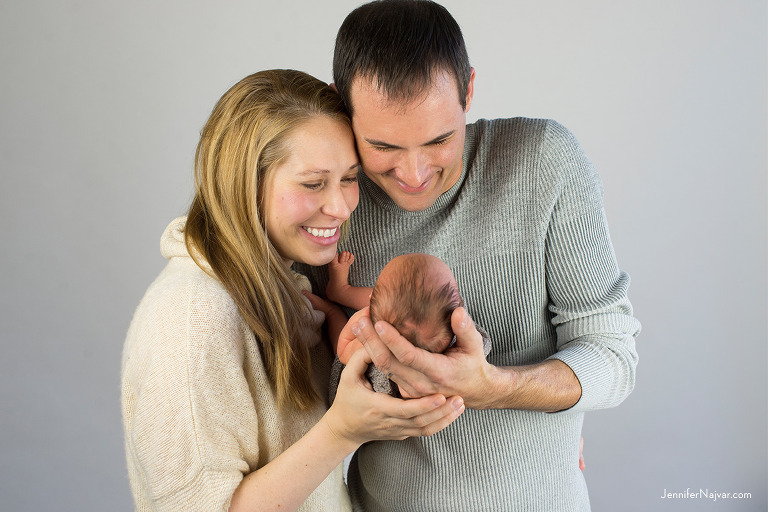 Every time we come back to this collection, we can feel the warmth from this sweet family. The tangible connection between the three of them and the sweet bonds they shared — Mom glowing at the sight of a yawn and Baby melting Dad into a laugh with her cry, two new parents staring down with joy — these are the portraits that we aim to find in every studio newborn session.